SEATTLE — Poppy is a Capitol Hill classic. The restaurant recently hit its 10 year anniversary, and it's stuck around that long for a good reason. The food is awesome. Poppy serves a daily thali that features several harmonious mini-dishes. Poppy's signature dish is the daily thali. The menu describes thali as, "a tray of 10 complimentary dishes intended as a main course for one". Some of the dishes in a thali include mashed chickpeas with parsley and preserved lemon, and smoked eggplant soup with coconut yogurt. 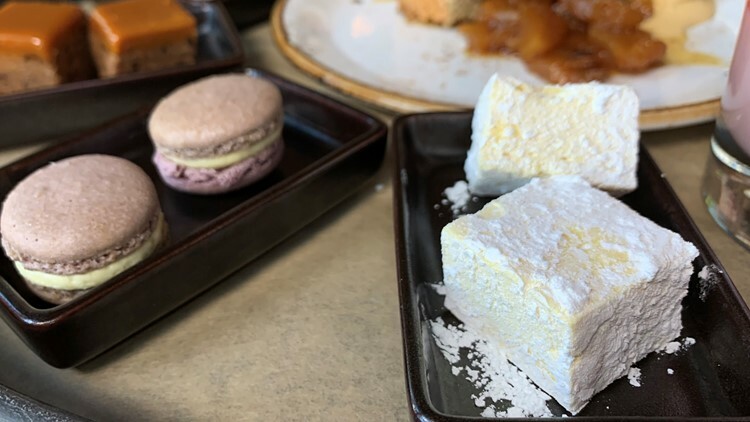 They offer a dessert thali as well, which features some of their delightful desserts- like mango marshmallows and raspberry chocolate macarons. The dessert thali features almond sage cake, mango marshmallows and raspberry chocolate macarons. Many of their dishes and drinks feature herbs from their extensive backyard herb garden. Poppy's owner, James Beard award-winning chef Jerry Traunfeld, integrates the fresh herbs into the dishes regularly. But Poppy doesn't just do thali. Diners also love their eggplant fries with sea salt and buckwheat honey. They've been on the menu since Poppy opened, and haven't moved. 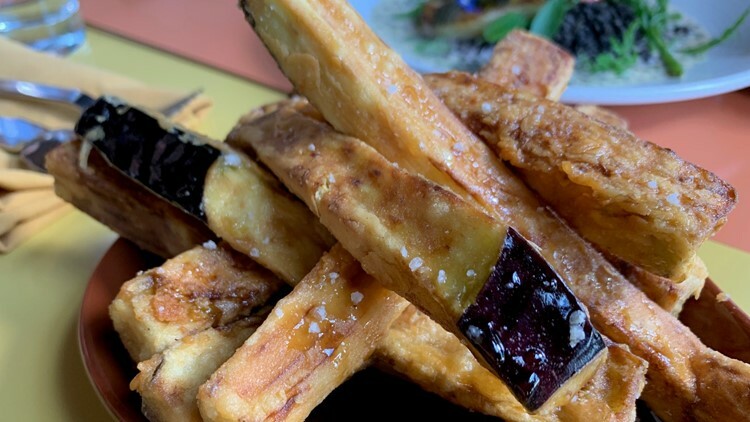 Eggplant fries are a diner favorite at Poppy. 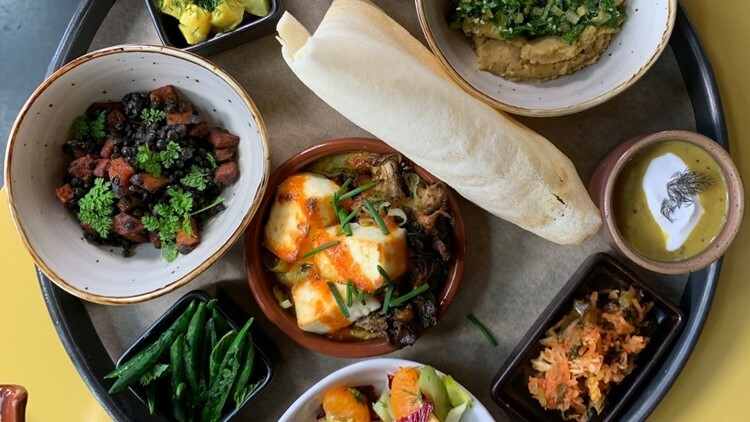 Whether you swing by to sample some thali, or try some of their beloved eggplant fries, Poppy is a delightful, delicious spot in Captiol Hill. This story is sponsored by Poppy as part of KING 5's Konnected. KING 5's Evening celebrates the Northwest. Contact us: Facebook, Twitter, Instagram, Email.